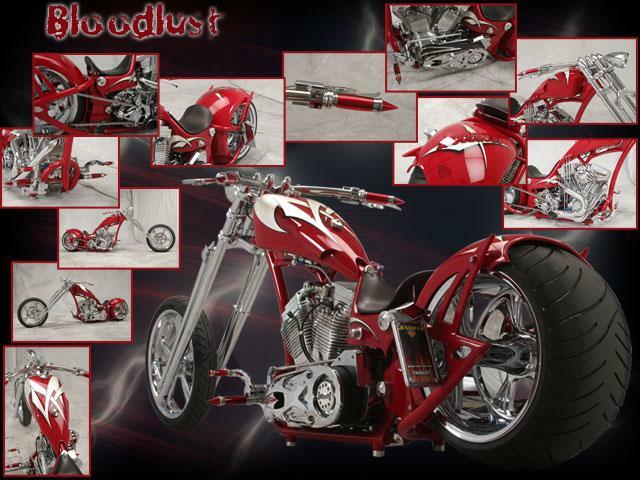 It's big, long and red.....my choppa....GETCHA SOME! 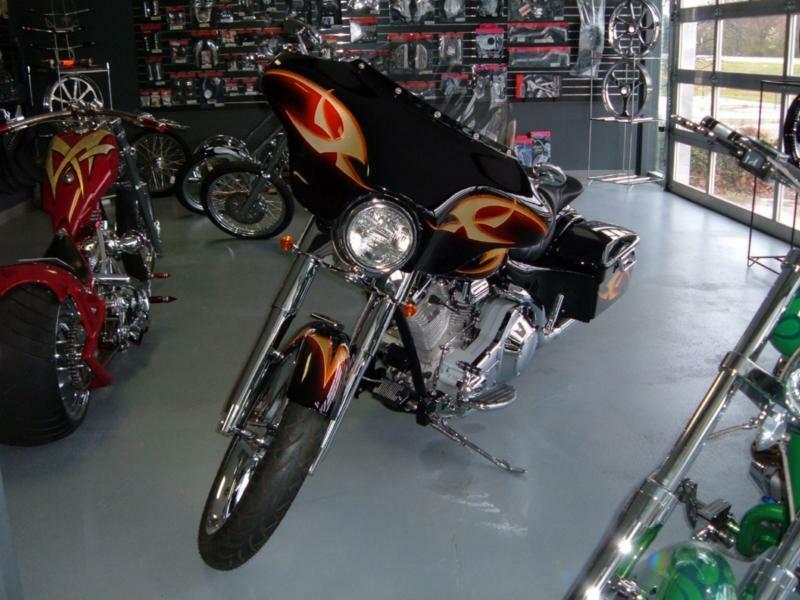 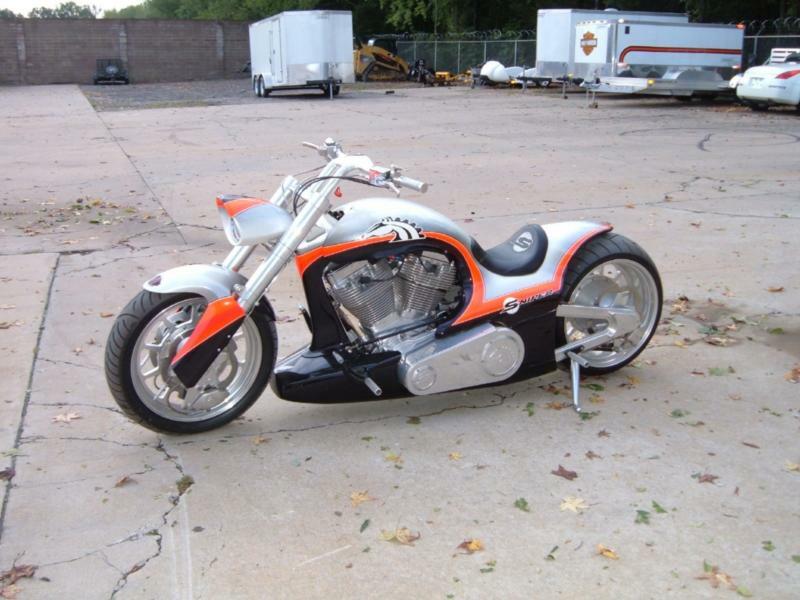 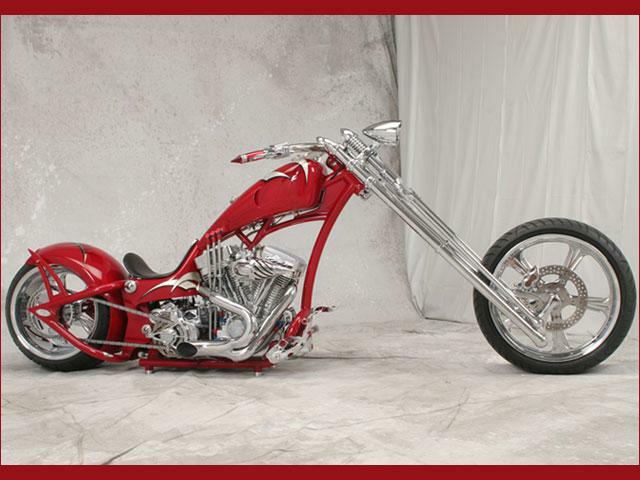 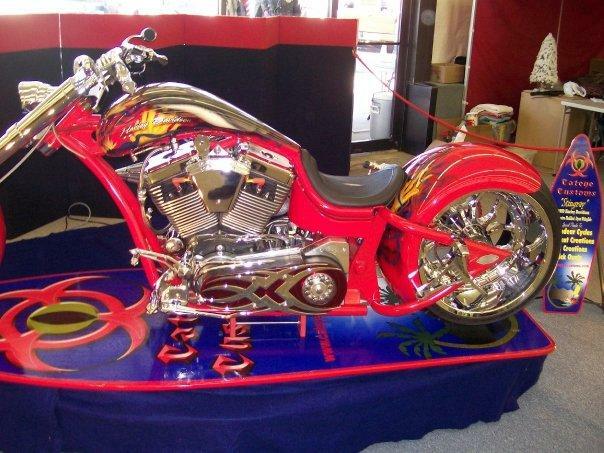 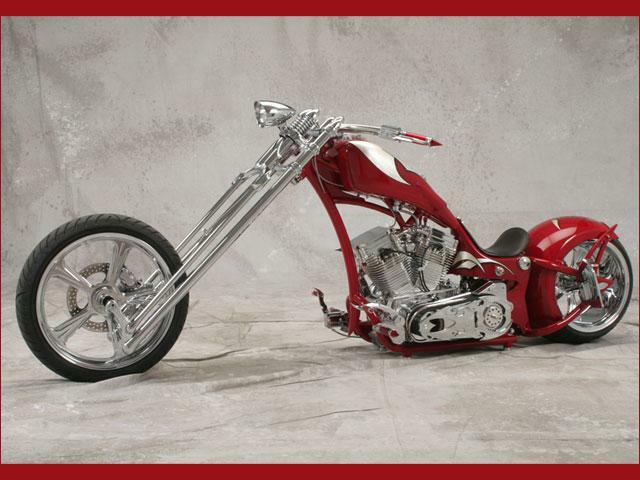 KC Creations full custom bagger. 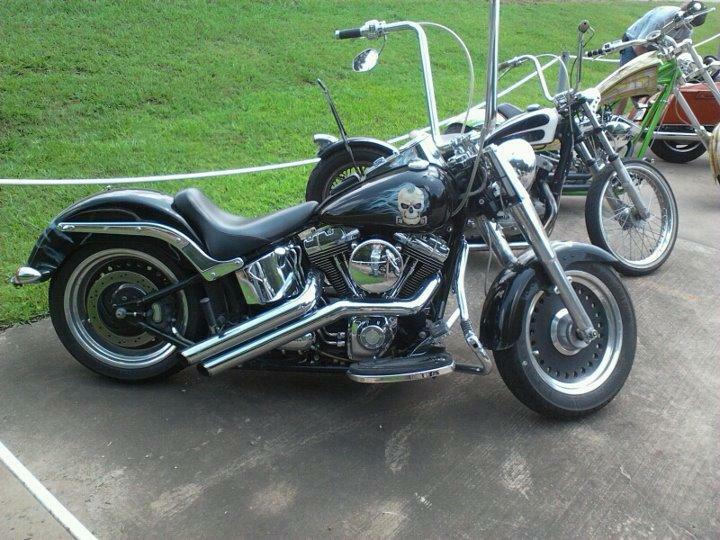 It's for sale! 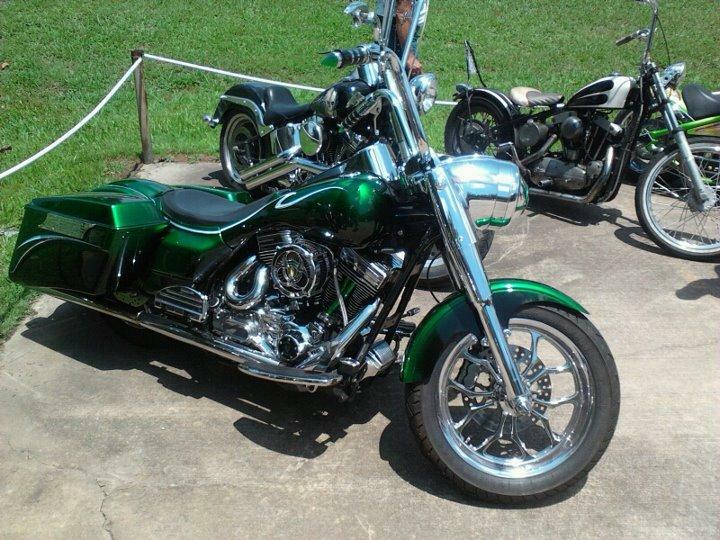 This Cateye built custom showed back up at our poker run. 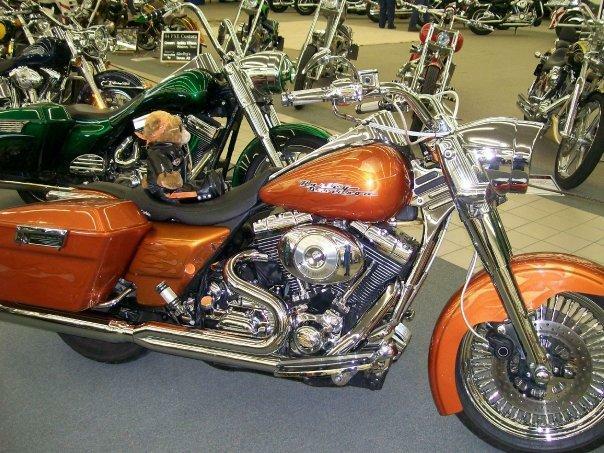 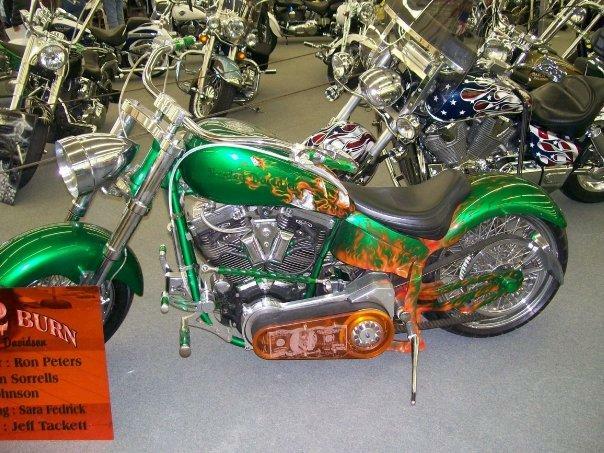 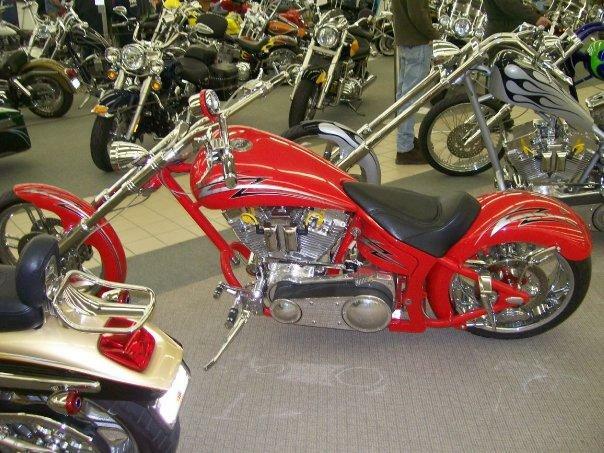 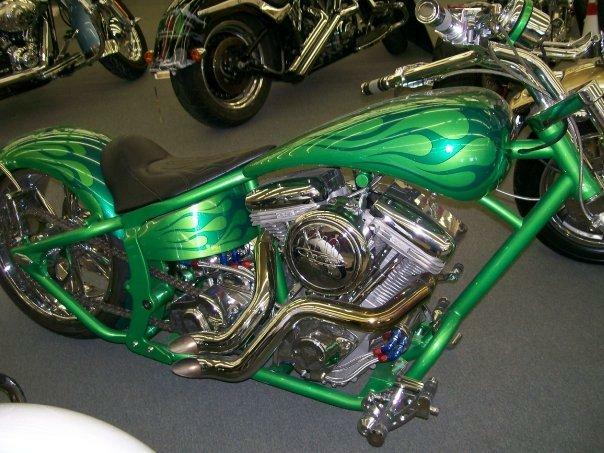 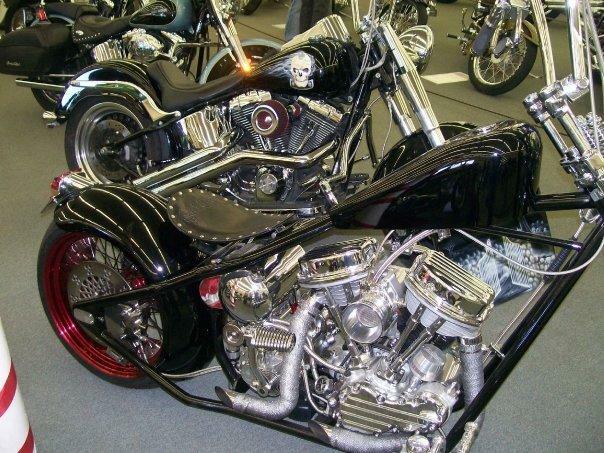 Custom 2007 Softail. 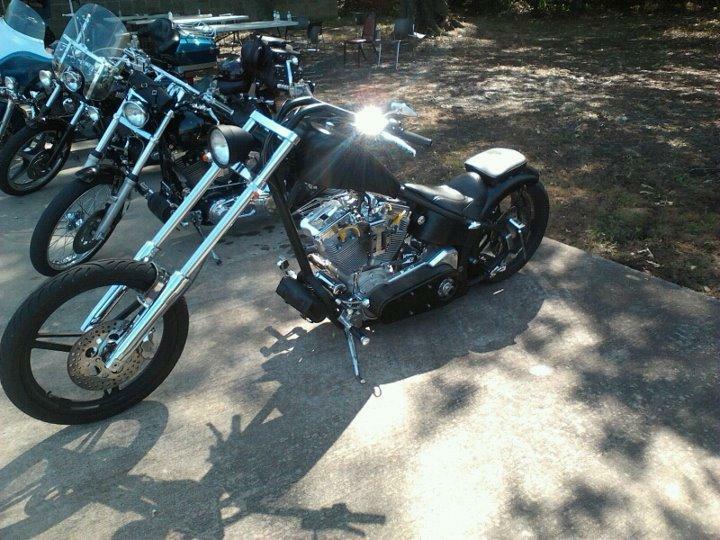 Now for sale! 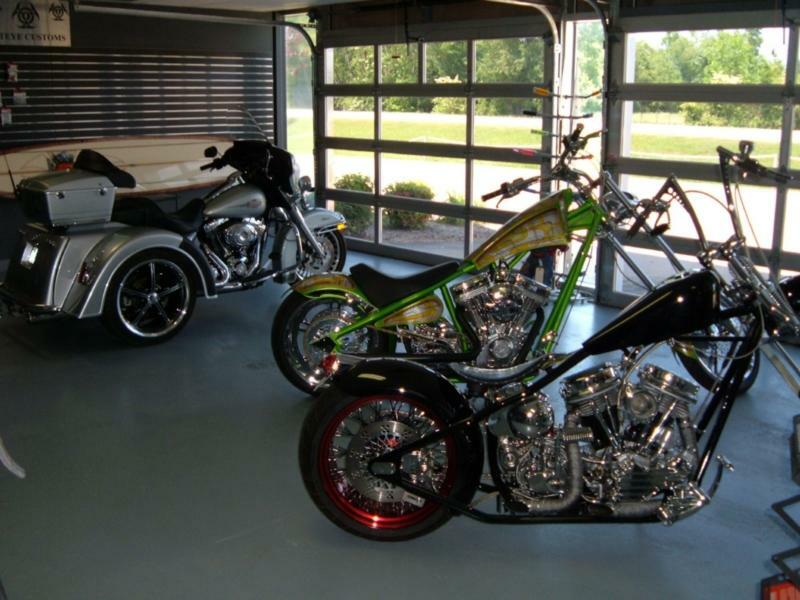 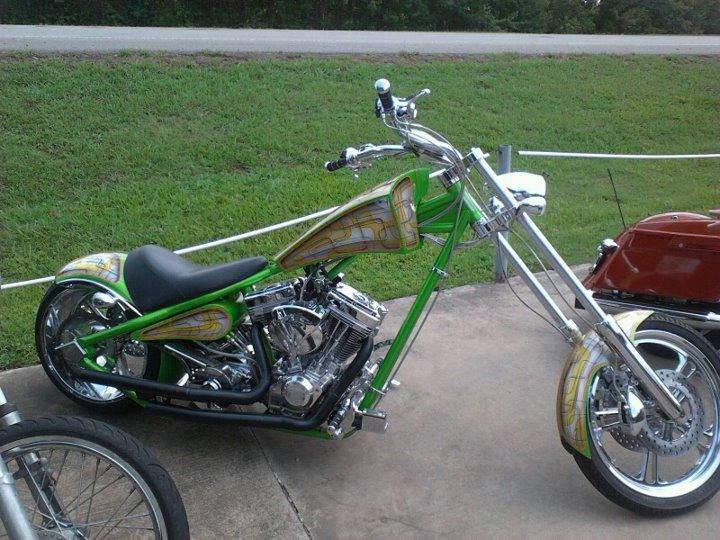 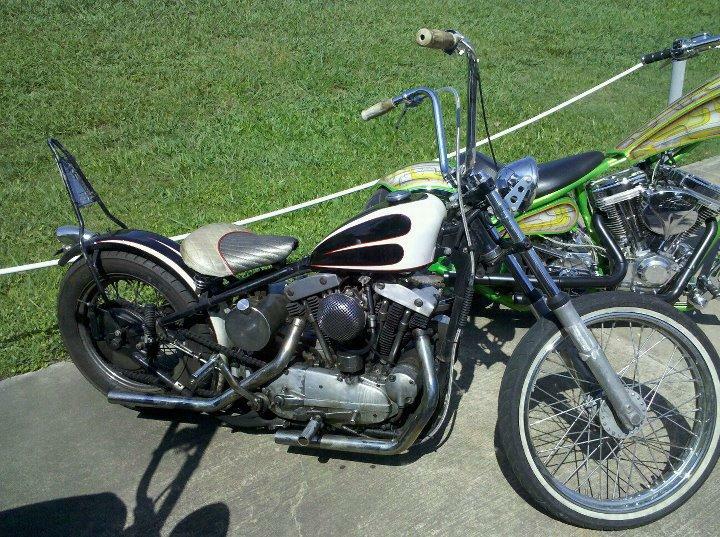 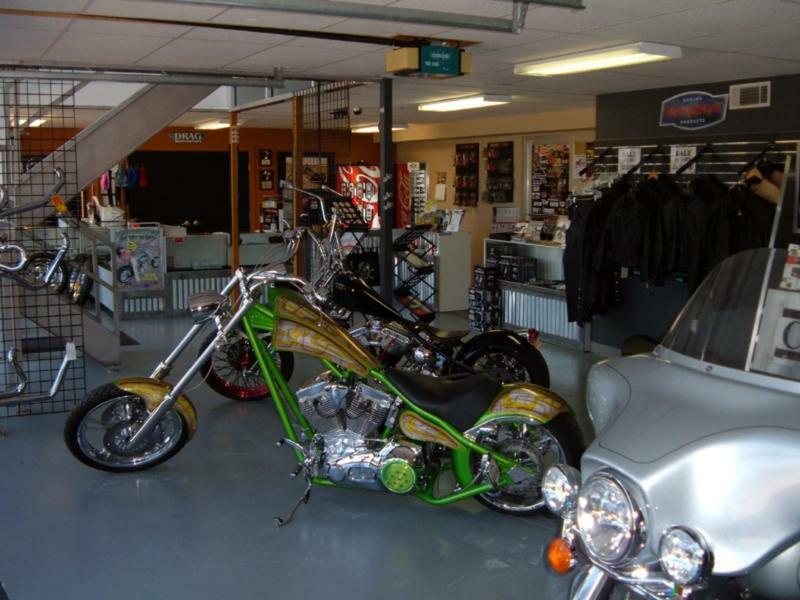 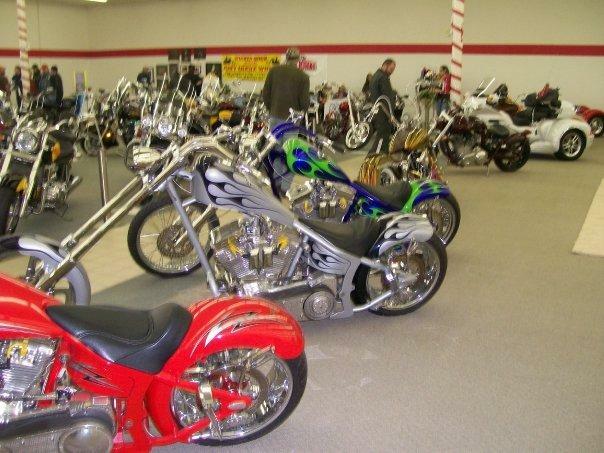 Loyal customer Mike Kraus in the front and Scott Ketchum's Cateye built chopper in the back. 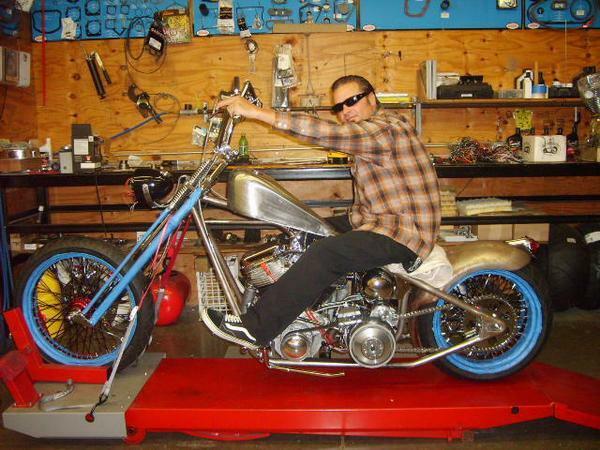 Cateye owner Bart's big bad chop! 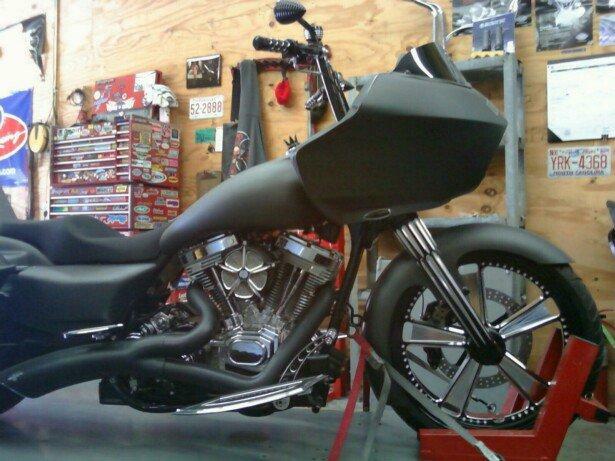 Another shot of Scott's killer scoot. 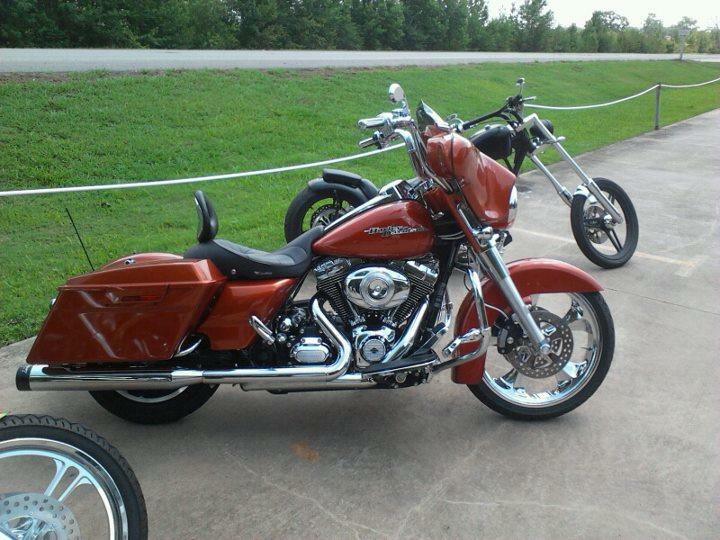 Satisfied customer in the front and one of our customs behind it. 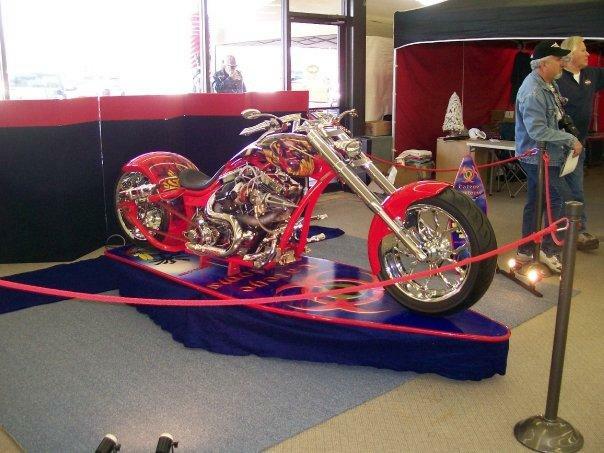 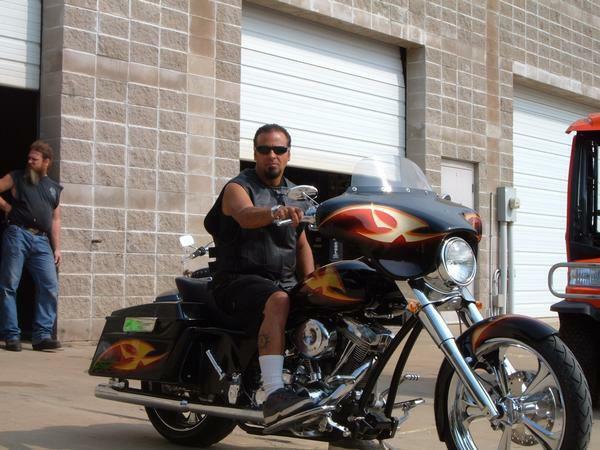 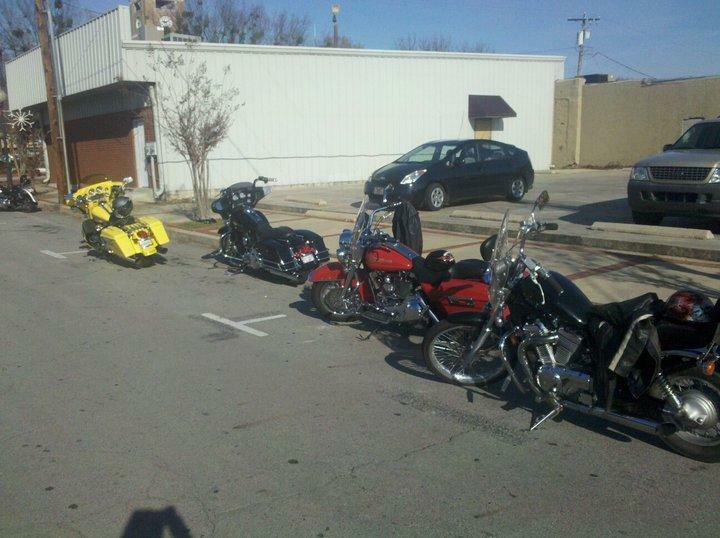 Bill showin' off the KC Creations full custom bagger.